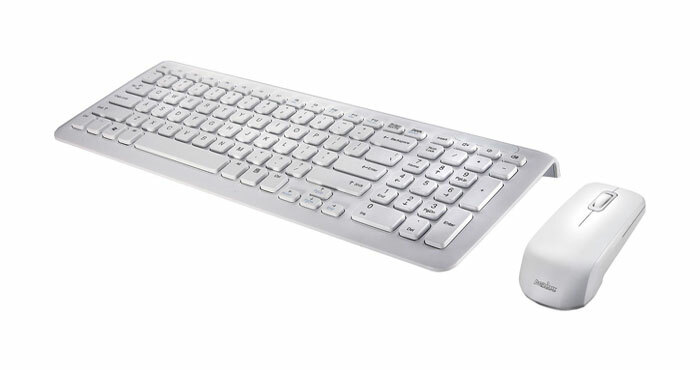 Creating, navigation and browsing on different applications and software are all possible through mouse and keyboard. And no matter the computer is used for playing media files, online gaming, surfing Internet or delivering a business presentation, a wireless keyboard/mouse combo set could offer more freedom and comfort. This set of keyboard and mouse is most suitable for users looking for reliable wireless technology along with beautiful and comfortable design. In comparison to a regular optical mouse, the mouse gives users more precise controls, and works effortlessly and smoothly on most surfaces. Offering reliable and robust performance using enhanced 2.4GHz wireless technology. Users are able to quickly browse through web pages and documents (PDF files, Microsoft Word documents, Excel spreadsheets, etc.) with the help of ‘hyper-fast scrolling’ option. The battery life of keyboard is 3 years and the laser mouse is rechargeable. In order to make it comfortably fitted in the users’ hands, the mouse is contoured elegantly. Hands are naturally cradled by the keyboard since it has an innovative ‘Wave’ design. Please note that according to users’ reviews on Amazon, there are only drivers for Windows Vista and Windows XP included in the product box. Mac OS drivers for both mouse and keyboard could be downloaded from the Logitech website. Also, based on the same comments, all the keys for iTunes such as back, forward, pause, play, etc. work on Mac OS X. This keyboard/mouse set could be purchased from Amazon for $59.99. This is another great product from Logitech. The only disadvantage is the lack of support for Mac systems. One Logitech Unifying receiver is the only device – which is very tiny – required to connect the mouse and keyboard to the computer wirelessly. In fact, using this receiver, it is possible to pair up to 6 devices (compatible with Unifying Technology). In order to enable users to browse through long web pages and documents, it comes with a ‘hyper-fast scrolling’ feature. Num Lock, Scroll Lock, Caps Lock and the battery power status icons could be found on LCD dashboard on top of the keyboard. In order to enable fingers to move from key to key with less difficulty, the keyboard comes with cushioned palm rest and incurve keys. There is almost no need to change batteries of mouse and keyboard since their battery life is up to 3 years. 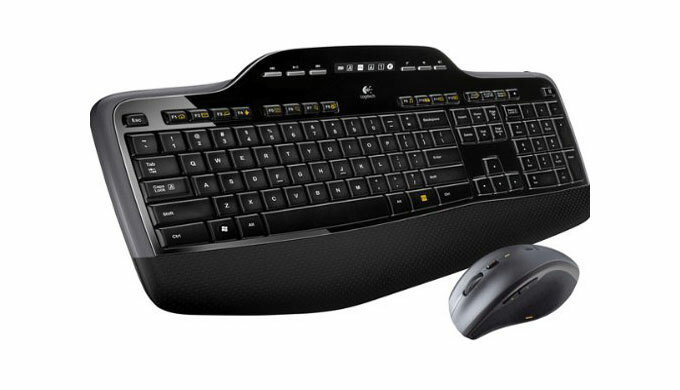 The set includes wireless Marathon Mouse M705 and MK700 keyboard. This product is one of the top-selling mouse and keyboard combos on Amazon website. it costs $67.99 to obtain it from the online retailer. Looking for a set with stylish and compact design? If the answer is yes then this Perixx keyboard and mouse combo might be the right choice. This combo is compatible with Mac OS X (without Command key and Apple hot keys), and Windows 10, 8, 7, Vista and XP. 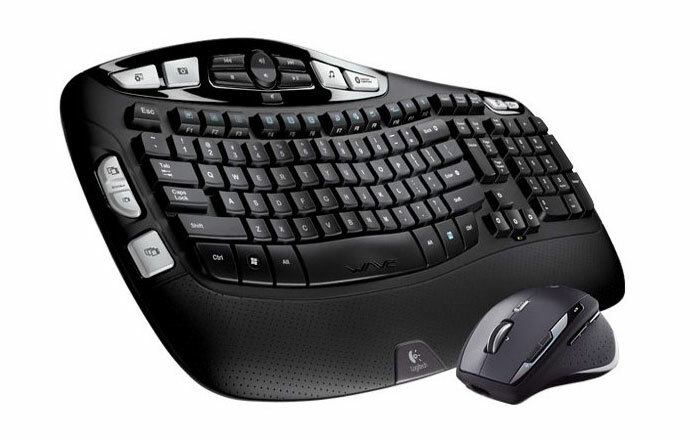 In order to buy this stylish keyboard-mouse set (priced at $29.99), users could visit Amazon website.